Accidents are an unfortunate and tragic part of life. Sometimes they happen as the result of an automobile collision, a workplace accident, a medical provider’s mistake, or any other situation where you have been harmed by someone’s negligence. Accidents happen, and when they do, often the worst part follows the actual incident. For example, when you are injured in a car collision, you will typically have contact with one or more insurance adjusters. These adjusters are well-trained and experienced in getting you to accept substantially less than your case is worth. Others are outright bullies who try to force you into accepting less than you need to move on with your life. You do not have to go through this process alone. Do not negotiate with an insurance company before speaking with an attorney. If you have been injured, you need the a lawyer as soon as possible to make sure your rights are protected and respected. Joyce Law Firm’s founder and the lead attorney in our personal injury practice group, Kirk Joyce, brings tremendous experience in taking on the insurance companies to get fair settlements or, if necessary, jury verdicts for our clients. We have a long history of successful representations and we will not rest until the insurance companies have fulfilled their promise to compensate fairly in the event of an injury. If you or a loved one has been injured, please do not hesitate to give us a call for a free initial consultation at (479) 442-5577. You can also stay up to date on the latest information by giving our blogs & podcasts a follow. 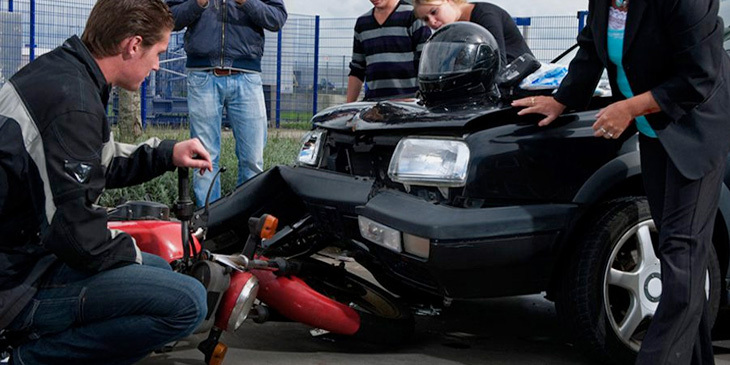 If we accept your injury case, we will handle the property damage portion of your case for FREE! – Just post us a brief email with your name and phone number or call us and mention this ad* (approximately a $500 value).